When an individual passes away and leaves a will, there needs to be an accounting of all of his or her assets and debts. Death does not simply erase money owed and the assets must move on to the next owner. Probate is the process of identifying all of a person’s assets and debts, ensuring all of the debts are paid, and distributing money and property to the decedent’s beneficiaries based on his or her will. This process is court-supervised, which means the personal representative – the individual chosen to complete these tasks – must provide documentation and proof to the court that the estate is properly managed. 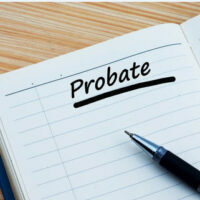 Depending on an individual’s estate and how well he or she planned for the future, probate can be a simple process. However, it can also be extraordinarily complex. If your loved one recently passed away and you need help navigating Florida’s probate process, do not hesitate to call an attorney for help. Formal probate proceedings begin when the executor named in the will or another interested party who has the will in his or her possession files the will with the local circuit court and asks the court to appoint a personal representative for the estate. The appropriate court is usually in the county where the individual lived, and this filing should be done within 10 days of learning of the person’s death. When the executor or other individual files the action in court, all of the beneficiaries or potential heirs are provided notice. This way family members and friends who are to inherit under the will are able to attend the proceedings and object if necessary. The court will seek to determine if the will is valid. If the will is self-proving, the representative files the document itself. If the will is not self-proving, witnesses can provide statements under oath as to its validity. This process is not difficult so long as no one raises an objection regarding the validity of the will. This can happen if someone believes the decedent wrote the will under duress or while incompetent or if someone knows of the existence of a different will document. The court will also designate a personal representative and issue a document known as Letters of Administration. This gives the personal representative the power to settle the decedent’s matters, such as pay off medical expenses, funeral expenses, final taxes, and other debts. The representative also inventories the decedent’s assets. Once all creditors are satisfied and everything is accounted for, the representative submits a final accounting to the court regarding how the assets and debts have been managed and how the representative intends to distribute the final assets to the beneficiaries. Once the beneficiary distributes the final assets, he or she provides evidence to the court that everything is finished and asks the court to close the estate. The process of settling the estate can take anywhere from a few months to more than a year depending on the size of the decedent’s estate and any creditor issues. When the case is closed, the representative is free from any other duties regarding the probate process. Just because your loved one left a will, does not mean the probate process will be emotionally, mentally, or physically easy. There can be a tremendous amount of work to be done after a person passes on. The best step you can take for you and your family is to work with an experienced attorney who knows the Florida probate process like Larry E. Bray. A lawyer can settle the estate’s matters as smoothly as possible, allowing you time to grieve without being trapped by paperwork. Call the Law Offices of Larry E. Bray today at 561-571-8970 to schedule a consultation.